Attracting the right audience by telling a credible story. 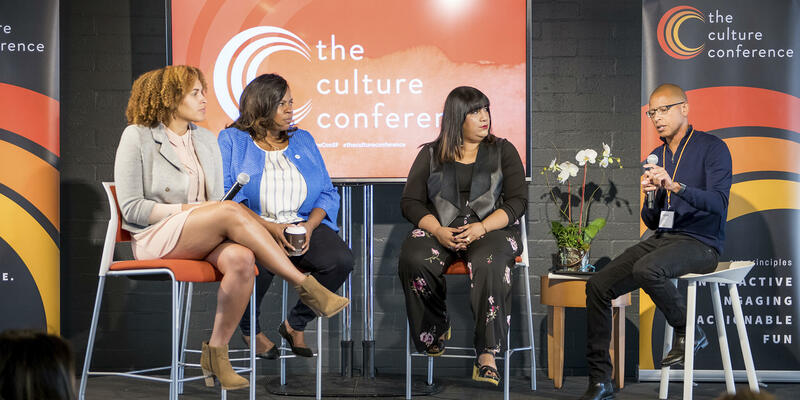 The Culture Conference had big gaps to bridge in order to get high level leaders to attend the inaugural event. Jenny Sauer-Klein knew investing in branding was key to creating legitimacy and credibility in the marketplace. Together we created a brand and a library of materials - digital and tangible - that successfully engaged the audience and brought Jenny’s vision to life. 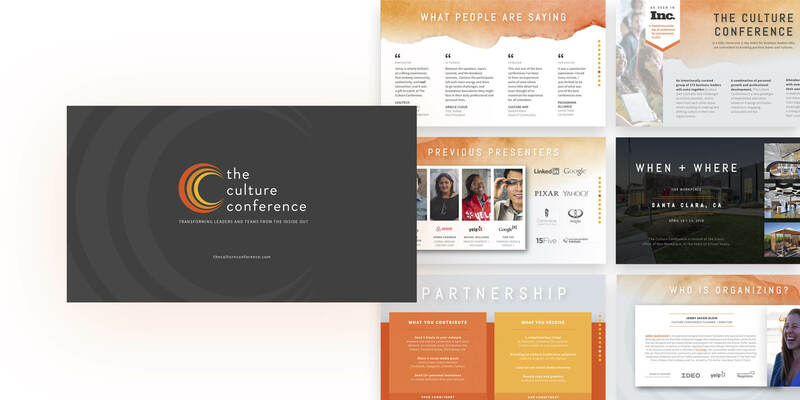 These resources became the visual foundation that will continue to carry The Culture Conference well into the future. 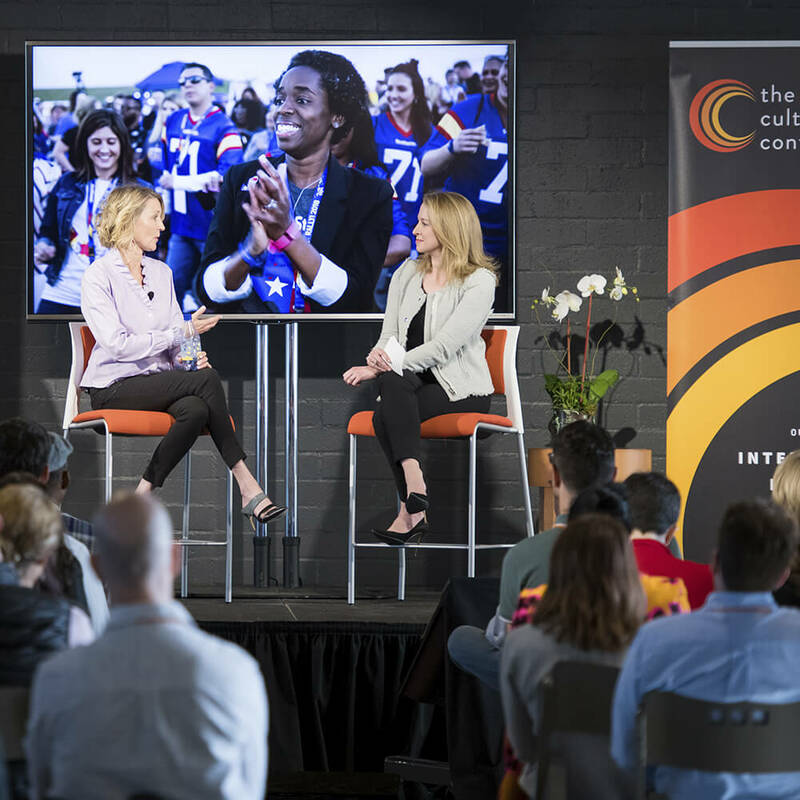 The Culture Conference project began with strategy. 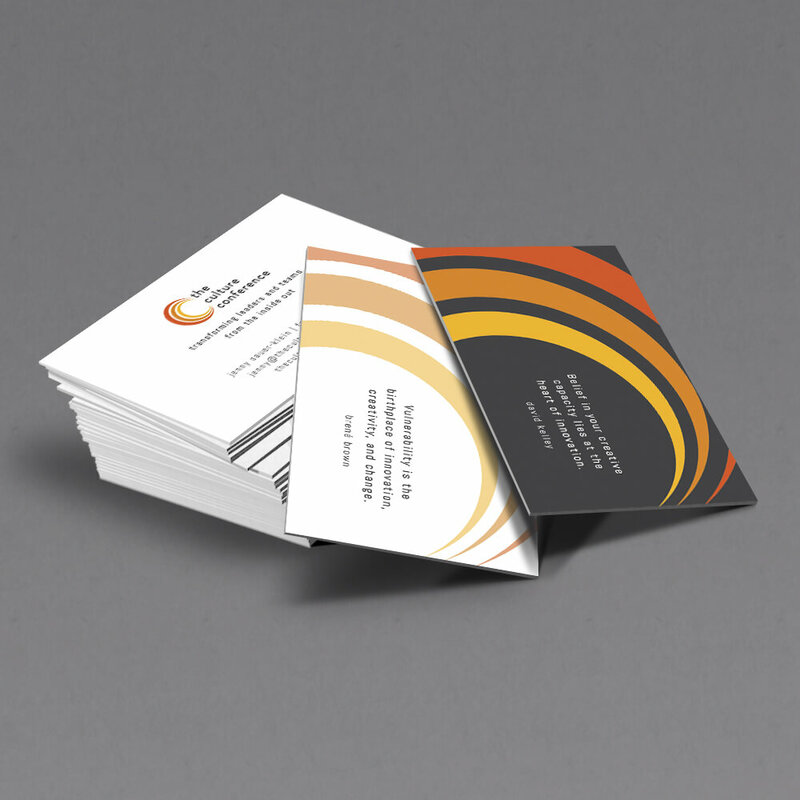 We crafted a vision for the event that increased the overall impact of design. We then prioritized our work with a clear project timeline to keep everything on schedule as the event deadline approached. 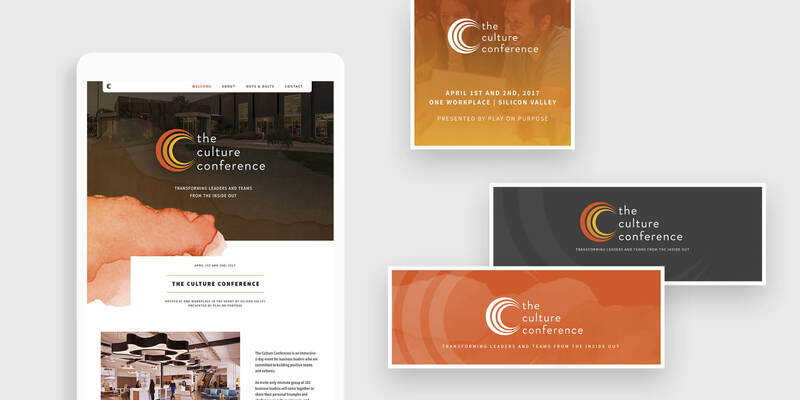 This collaborative process allowed Jenny to influence the design in a way that felt meaningful, resulting in a beautifully executed brand that captured her vision for the event. 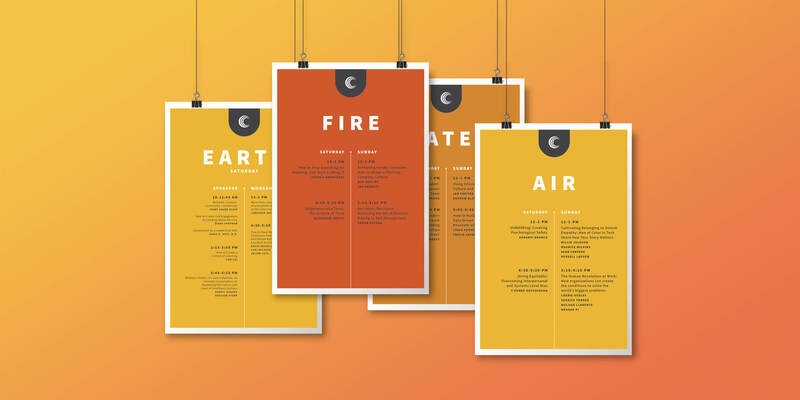 The brand elements created for this first conference required only minor tweaks in subsequent years, creating a consistent brand that built credibility over time, and provided an ongoing return on the initial investment. 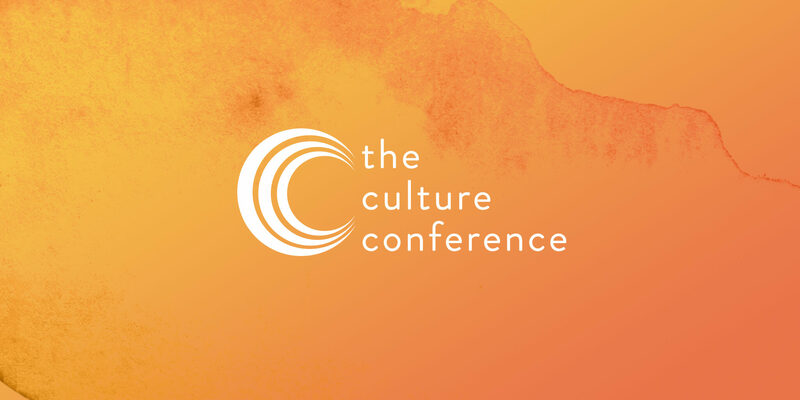 Together we built a compelling visual story around the mission of The Culture Conference, setting the stage for expanded impact for years to come. Sponsorship and speaker pitch decks were created to recruit sponsors, in-kind partners, and speakers. 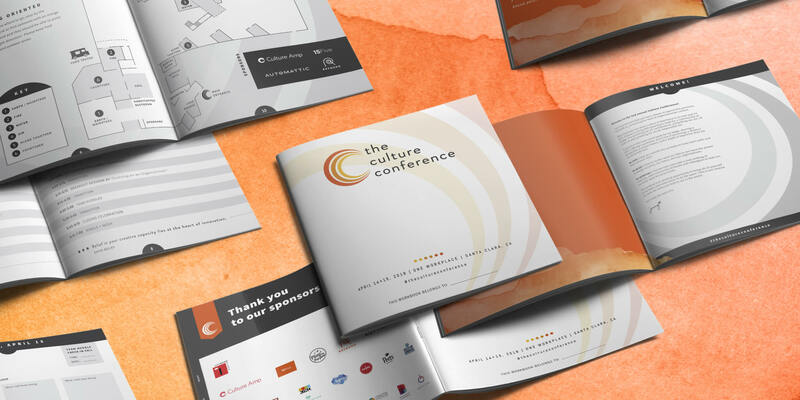 These decks gave The Culture Conference the credibility to source funding, create excitement, and ensure the success of the event.